Aside from fine lines and wrinkles associated with aging, many individuals begin to notice sagging skin, otherwise known as “jowls” that tend to hang down over the chin. This leads some to seek a facelift procedure to redefine their jaw line and tighten the skin. Yet, while there are different types of facelifts, the procedure is not for everyone. Fortunately, given the latest advancements in cosmetic and plastic surgery, patients that are not quite ready for a facelift can experience real results in facial rejuvenation with FaceTite, the revolutionary and highly versatile remodeling technology from InMode. To better understand, FaceTite is part of a wave of new technologies designed to treat the subdermal adipose tissue of the face, yet patients with or without underlying fat concerns may benefit from treatment. For instance, FaceTite focuses on both the deeper layers of tissue and the upper layers of facial skin for optimal results. In cases where fat accumulation is an issue, liposuction may be combined with the FaceTite technology. Also combined with the FaceTite procedure is the Morpheus8, a Subdermal Adipose Remodeling Device (SARD) that molds subdermal fat using fractional RF technology. The procedure itself is performed on an outpatient basis in a physician or surgeon’s office, and only a local anesthetic is needed (along with a tumescent anesthetic). Making a tiny incision that is akin to the size of a needle head, the FaceTite Fractora cannula (similar to a wand) is placed under the skin to target tissues directly with heat energy to target loose or sagging skin. Tightening of the skin is immediately apparent, and projected to continue for up to one year. 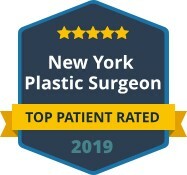 Dr. Maurice Khosh is proud to offer the advanced non-surgical solution of FaceTite in the comfort of his office in NYC. FaceTite provides significant benefits for nasolabial folds, the jawline, cheeks, the brow-line and forehead. 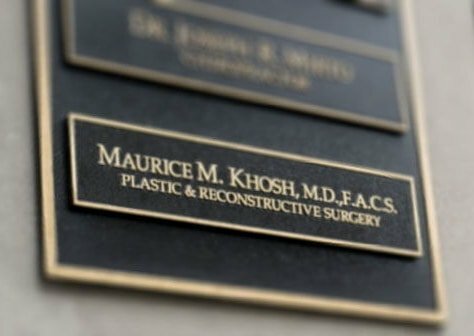 As an elite facial plastic surgeon, Dr. Khosh understands that while facelifts and neck lifts remain popular procedures, they are not for all patients. Thus, FaceTite is not only a simpler solution—it’s a minimally invasive alternative requiring little to no downtime. 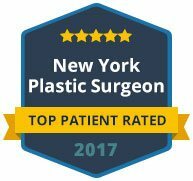 To discuss your options for facial rejuvenation with FaceTite non-surgical treatment, contact the office of Dr. Maurice Khosh is New York City today.